Iron Cross D-ring shackles are the perfect accessory for your front or rear bumper. They offer your truck an awesome look as well as they are very useful when it comes to towing. With one of these shackles you can easily attach a tow rope and have your truck or SUV pulled out of any muddy or icy situation there is. 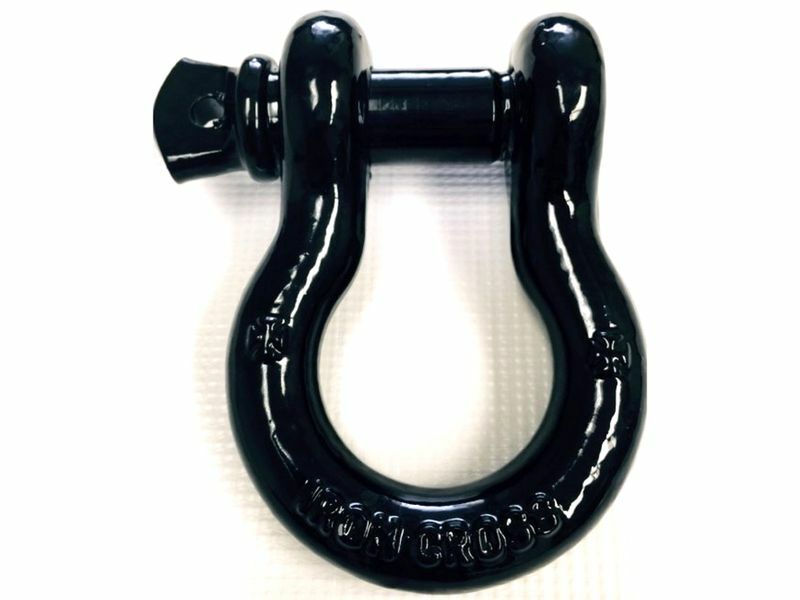 Iron Cross D-ring shackles are available in multiple colors: black, galvanized, orange, yellow, pink, candy green, crimson red, lime green, blue, red, and much more. They will match any color vehicle that you have. Accessorize your bumpers with Iron Cross D-ring shackles. Iron Cross D-ring shackles are backed by a five year warranty. Iron Cross D-ring shackles installed easily onto your front or rear bumper.